Shower some love on greyhounds during the month of April! Adopt a greyhound! This link gives you all the information you need to get started. 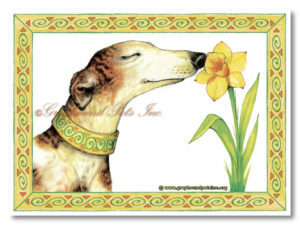 Purchase a t-shirt or hoodie with our April Daffodil Greyhound design for yourself or a friend. This beautiful, exclusive design was created by artist, illustrator, and animal lover, Robin James. It’s available in lots of colors and sizes. All proceeds go directly to the hounds in our care. 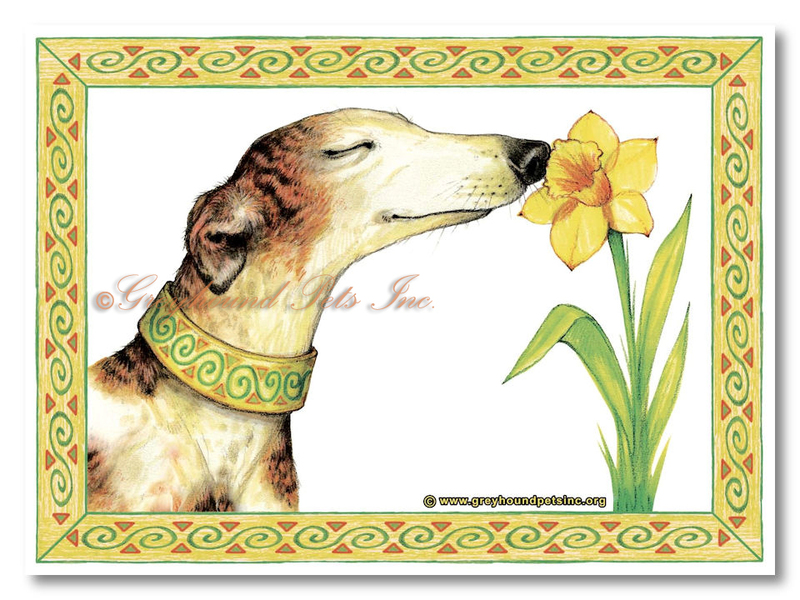 Find our April Daffodil Greyhound design in our online Rootique. The 9th Annual Greyt Walkathon is coming up! And we’re looking for volunteers to help with our biggest yearly event. No experience necessary – just a love of fun and a desire to support our mission! Contact Chris Nooney. 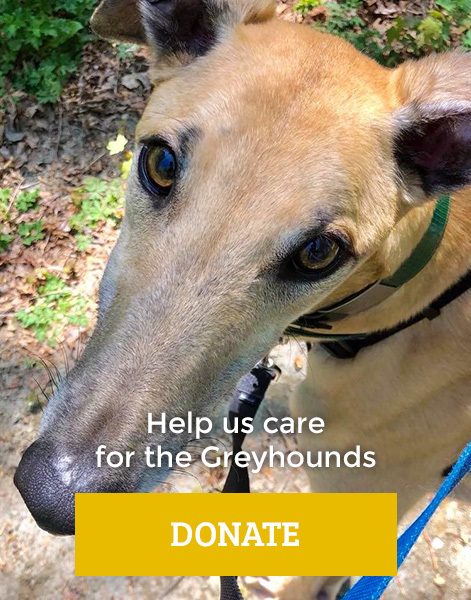 Your donations work directly toward the care of greyhounds who might not otherwise have the chance to find life with a loving family. Donate online, sponsor a kennel run, sponsor an available dog, or purchase an item on our wishlist. Check out all the ways to support GPI here. Why not shop and help the dogs at the same time? Sign up for shopping programs that will donate a percentage of your purchase price to GPI, like AmazonSmile, Rescue Chocolate, Bartell Drugs. Find the details here.